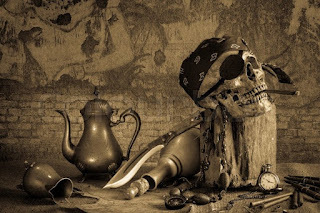 Whenever we see an accurate depiction of pirates, there is always tobacco near at hand. 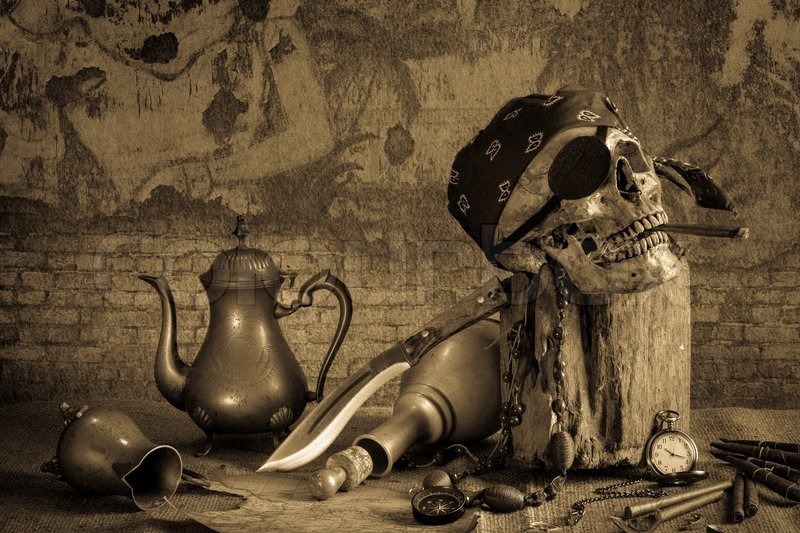 Whether it be a long clay pipe or a thin black cigar, pirates – like many European of the time – loved to smoke. And since tobacco was still a luxury item in the early 1700’s, it was a habit taken up both to enjoy amd to show off affluence. This made it especially popular with pirates, who had often moved from deep poverty to sudden wealth. Smoking is an unusual way of ingesting a drug. 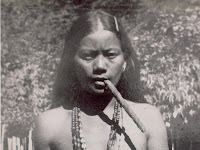 At the time of the European invasion in the 1500s, smoking was found only in the Americas and in a few parts of Africa. Europeans were unfamiliar with this activity and were, at times, amazed when they encountered it. The Europeans were immediately fascinated, and traded with the natives for this captivating new plant. One of Columbus' lieutenants was so drawn to primitive cigar smoking that he smoked every single day on the long journey back home. 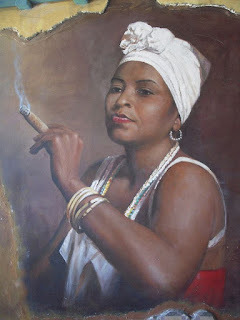 Because the natives of the Caribbean smoked tobacco in cigar form, cigars and the Spanish have been linked ever since. Cigar smoking became quite popular in Spain and Portugal. The French ambassador to Portugal, picked up the habit and brought cigars back in his home country. From there it spread to Italy and other European nations. While some rulers such as King Phillip II of Spain and King James I of England denounced smoking as being evil, the cigar grew in popularity as companies started growing tobacco for commercial consumption. It is important to remember that tobacco can be used by in many different ways. It can be sniffed, chewed, eaten, smeared on the skin, drunk, used in eye drops and enemas, and smoked. Europeans began smoking because that was the usage they saw. Taken in small doses, tobacco has a mild effect on those who use it. However, taken in large doses it can produce hallucinations, trances, and even death. When asking the advice of an elder it was (and still is) customary to give the elder tobacco. When gathering wild plants for ceremonial use, one left a small offering of tobacco for the spirits of the plants. 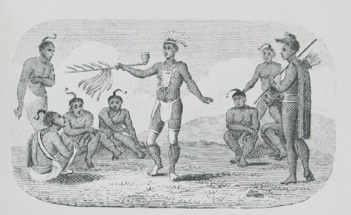 In preparing the fire for the sweat lodge, tobacco offerings are given to the fire. The tribes of North America most commonly used tobacco by smoking it in a pipe. Indians used pipes made from many different materials in a variety of shapes. The one we now best is the Plains Indian “peace” pipe with its stone bowl and long wooden stem. But the Indian people in the eastern part of the United States frequently made pipes from clay. It was this clay pipe which the English copied when they first began to smoke tobacco. And the clay tobacco pipe was the standard for English and Dutch pirates. Tobacco was an early fad in European and cultivation of the plant was one of the driving forces for profit that helped to encourage immigration to the New World. Huge profits could be made in the weed. The cultivation of tobacco as a cash crop in America marked a shift from a subsistence economy to an agrarian economy. 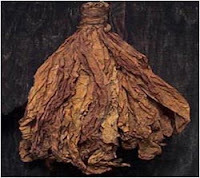 Tobacco’s value led to it being used as a currency in colonies. Tobacco was also backed by the gold standard which meant that there was an established conversion rate from tobacco to gold. But this led to changes. In the beginning, plantations that grew tobacco used indentured servants to cultivate the crop. But this sort of farming requires large amounts of land and labor. Early indentured servants were promised land grants in exchange for their years of service – but when their time was up, landowners did not want to part with such profitable land. One answer was to find ways to deny indentured servants their due. Another was to search for a fresh source of labor that would be permanent and not require land as a reward. Tobacco in North America, like sugar in the Caribbean, drove unfair labor practices and the need for slaves. Next week… Tobacco as cash. Very interesting. History has to teach us.